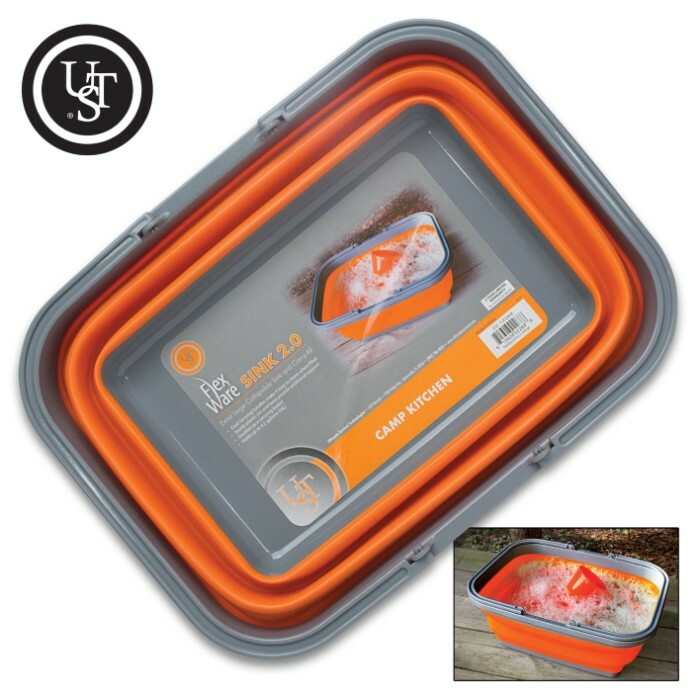 UST Flexware Sink 2.0 - TPR Construction, BPA-Free, Collapsible, Lightweight, Dishwasher Safe, Dual Handles - Capacity 16L | BUDK.com - Knives & Swords At The Lowest Prices! 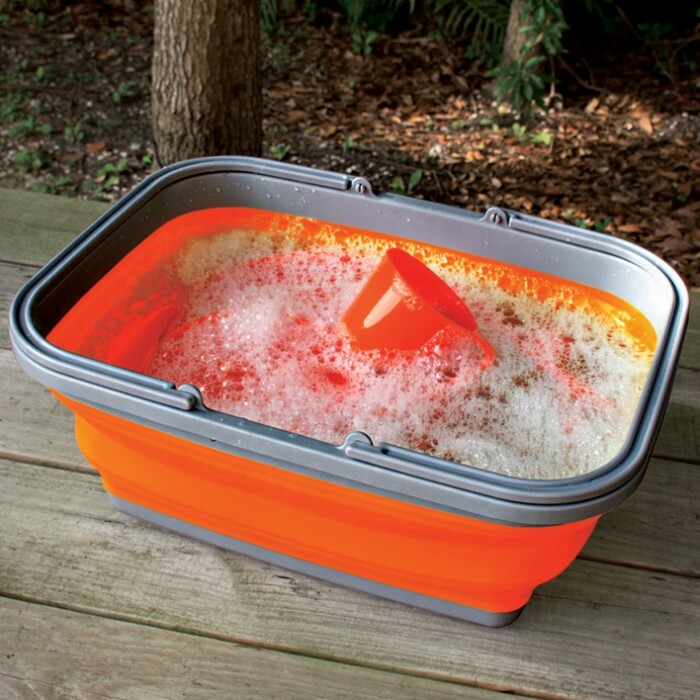 When it is fully expanded, its dimensions are 18"x 13 1/2"x 7" and when it is collapsed, its dimensions are 18”x 13 1/2”x 2"
Washing dishes at the campsite won’t be a problem when you bring the FlexWare Sink 2.0 along on the trip. Featuring a collapsible, TPR body, it takes up minimal space and stores easily when not in use. The BPA-free sink holds up to 16 liters of water to make quick work of family and friends’ dishes after a meal. The dual carrying handles make it easy to move when filled and the sturdy, plastic rim and base provides additional support. It can also be used as a basket and it is dishwasher safe.